Category: (00) How is Jesus Christ unique? There is not one of us who can not relate to this message……. “Mr. Krueger’s Christmas” (1980) starring Jimmy Stewart. His OTHER great Christmas movie. This one was a TV special. Story of a lonely old man as could only be played by the Most Beloved Actor of All Time. This part is from the Nativity Scene Prayer he gives, as sort of a vision (the movie already has established he is prone to such things). It is EXTREMELY moving, as only Jimmy Stewart can deliver it. Jimmy Stewart filmed this scene in ONE TRY because the tender feelings in his expressions of love for Jesus could not be vainly repeated. “I have only one of these in me,” he said. “I’m absolutely serious when I say this is one of the greatest honors I’ve ever had.” Let’s cultivate that same emotion in ourselves and gratefully ‪Share The Gift . Incarnation is a term used by theologians to indicate that Jesus, the Son of God, took on human flesh. This is similar to the hypostatic union. The difference is that the hypostatic union explains how Jesus’ two natures are joined, and the Incarnation more specifically affirms His humanity. The word incarnation means “the act of being made flesh.” It comes from the Latin version of John 1:14, which in English reads, “The Word became flesh and made His dwelling among us.” Because of the near-exclusive use of the Latin Vulgate in the church through the Middle Ages, the Latin term became standard. Biblical support for Jesus’ humanity is extensive. The Gospels report Jesus’ human needs including sleep (Luke 8:23), food (Matthew 4:2; 21:18), and physical protection (Matthew 2:13-15; John 10:39). Other indications of His humanity are that He perspired (Luke 22:43-44) and bled (John 19:34). Jesus also expressed emotions including joy (John 15:11), sorrow (Matthew 26:37), and anger (Mark 3:5). During His life, Jesus referred to Himself as a man (John 8:40), and after His resurrection His humanity was still recognized (Acts 2:22). But the purpose of the Incarnation was not to taste food or to feel sorrow. The Son of God came in the flesh in order to be the Savior of mankind. First, it was necessary to be born “under the law” (Galatians 4:4). All of us have failed to fulfill God’s Law. Christ came in the flesh, under the Law, to fulfill the Law on our behalf (Matthew 5:17; Galatians 4:5). Second, it was necessary for the Savior to shed His blood for the forgiveness of sins (Hebrews 9:22). A blood sacrifice, of course, requires a body of flesh and blood. And this was God’s plan for the Incarnation: “When Christ came into the world, he said: ‘Sacrifice and offering [under the Old Covenant] you did not desire, but a body you prepared for me’” (Hebrews 10:5). Without the Incarnation, Christ could not really die, and the cross is meaningless. God did an incredible work in sending His only begotten Son into the world and providing us with a salvation we do not deserve. Praise the Lord for that moment in which “the Word became flesh.” We are now redeemed “with the precious blood of Christ, a lamb without blemish or defect” (1 Peter 1:19). How is Jesus Christ unique? 1. He is the only, unique Son of God (Psalm 2:7, 11-12; John 1:14; Luke 1:35). 2. He is eternal. He existed from eternity past, He exists in the present, and He will exist for all eternity in the future (John 1:1-3, 14; John 8:58). 3. Jesus alone is the One who bore our sins so that we could have forgiveness and be saved from them (Isaiah 53; Matthew 1:21; John 1:29; 1 Peter 2:24; 1 Corinthians 15:1-3). 4. Jesus is the only Way to the Father (John 14:6; Acts 4:12; 1 Timothy 2:5); there is no other way to salvation. He is the only righteous One who exchanged that perfect righteousness for our sin (2 Corinthians 5:21). 5. 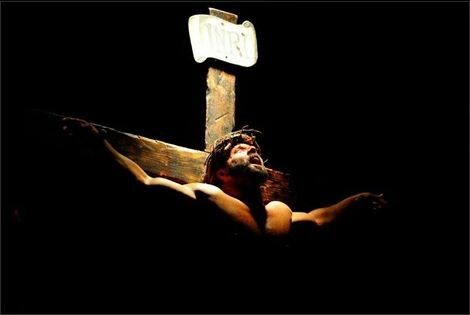 Jesus alone had power over His own death and the ability take back His life again (John 2:19; 10:17-18). Note: His resurrection was not a “spiritual” one, but was physical (Luke 24:39). His resurrection from the dead, never to die again, distinguished Him as the unique Son of God (Romans 1:4). 6. Jesus alone accepted worship as an equal with the Father (John 20:28-29; Philippians 2:6), and indeed God the Father states that the Son is to be honored as He is honored (John 5:23). All others, whether Jesus’ disciples or angelic beings, rightly reject that worship (Acts 10:25-26; Acts 14:14-15; Matthew 4:10; Revelation 19:10; 22:9). 7. Jesus has the power to give life to whom He will (John 5:21). 8. The Father has committed all judgment to Jesus (John 5:22). 9. Jesus was with the Father and directly involved in the creation, and it is by His hand that all things are held together (John 1:1-3; Ephesians 3:9; Hebrews 1:8-10; Colossians 1:17). 10. It is Jesus who will rule the world at the end of this present age (Hebrews 1:8; Isaiah 9:6-7; Daniel 2:35, 44; Revelation 19:11-16). 11. Jesus alone was born of a virgin, conceived by the Holy Spirit. The sin nature is genetically inherited from the male. He had no human father and therefore was born without a sin nature (Isaiah 7:14; Matthew 1:20-23; Luke 1:30-35). 13. There are a great number of prophecies concerning the Messiah’s birth, life, resurrection, person, and purpose. All were fulfilled by Him and no other (Isaiah 7:14; Micah 5:2; Psalm 22; Zechariah 11:12-13; 13:7; Isaiah 9:6-7; Isaiah 53; Psalm 16:10).